Carapace is the component of the exoskeleton of many crustacean and insects that protects the cephalothorax. Its morphology varies with the species, assuming widely different configurations. In many cases it is articulated in one or more shells with an heterogeneous distribution of voids on the surface and inside the volume. These configurations contribute to the shell’s stiffness and sometimes to the organism’s transpiration capability. 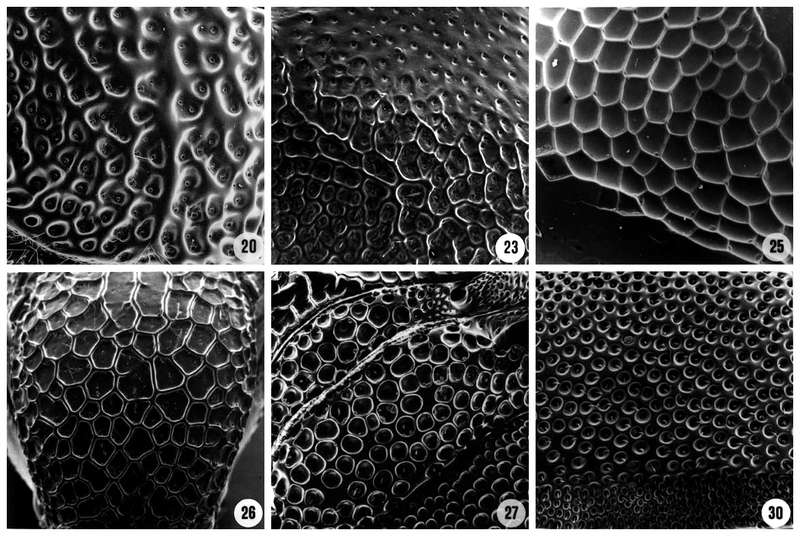 Pictures by Rick Harris from “A glossary of Surface Sculpturing”. Aiming at reproducing a few qualities of carapace’s morphology in design, we developeded a generative strategy to create and control the ornamental qualities of a shell object according to the position of the centers of its voids. In order to control the distribution of the voids according to specific parameters a population of virtual agents was programmed to self-organize and occupy the available space along the shell body. Free space is seen as a limited resource the agents are looking for. If this resource is abundant, then the environmental conditions are good and the agents start to duplicate themselves. The system tends to expand inside the object volume. If the agents cannot reach free space they start to loose their energy and slowly die. This self-balancing system continuously renews its elements and at the end of the simulation the positions of the agents are used to generate the final geometry. Through several parameters it is possible to control the size, the smoothness and the occlusion of the voids creating a gradient that blends a massive body into lighter structures, according to a specific non-uniform coefficient of porosity. The obtained results suggest a wide range of possible design applications such as the creation of interfaces that can be transpirant, permeable to light or structurally efficient. 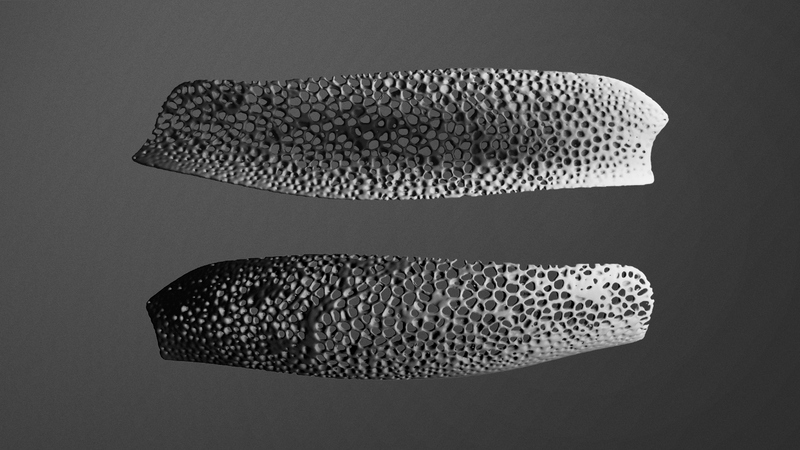 The coefficient of porosity can vary according to input data from physical simulations or design needs.